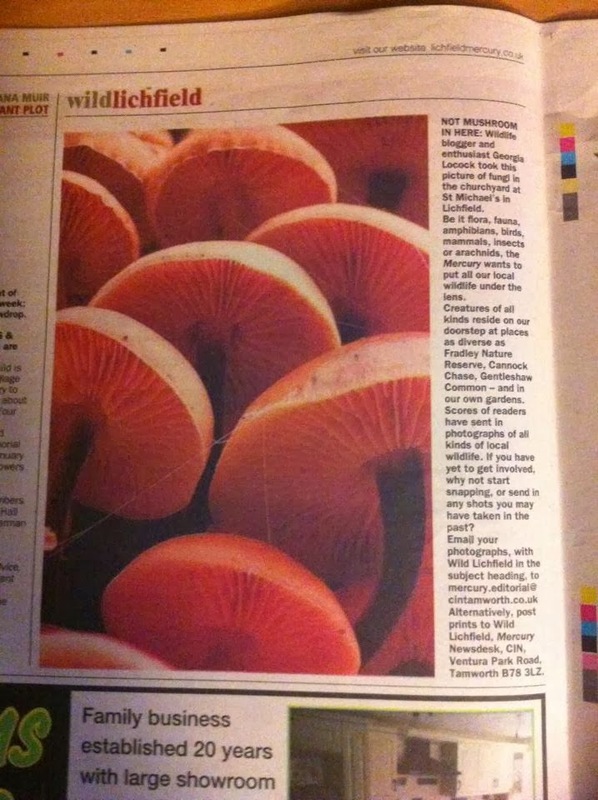 Today when I got home from school I had a look through one of my local newspapers and realized a photo I sent in had featured in the ‘WildLichfield’ section. This is my sixth photo to appear in this local paper along with the story about my Autumnwatch experience. Here is a photo of it in the Lichfield Mercury. Previous PostFootpaths, sheep and fungi.Next PostWatching the wildlife watcher!